Twenty years ago, Frances Mayes - widely published poet, gourmet cook and travel writer - introduced readers to a wondrous new world when she bought and restored an abandoned villa called Bramasole in the spectacular Tuscan countryside. With glorious descriptions of the vibrant local markets, food, wine and the Italian landscape, Under the Tuscan Sun inspired generations to embark on their own journeys - whether that be flying to a foreign country in search of themselves, savouring one of the book's dozens of delicious seasonal recipes, or simply being transported by Mayes' signature evocative, sensory language. 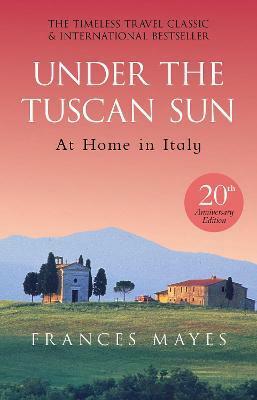 Now, with a new afterword from the Bard of Tuscany herself, the 20th anniversary edition of this timeless classic and international bestseller brings us up-to-date with the book's most beloved characters. "Stone by stone, Frances Mayes builds the story of what is not so much a love affair as an all-consuming passion. A glorious book - seductive, sensuous, beautifully crafted... '"